Officially launched at the start of the year, the Ping G Crossover offers something a bit different, so, needless to say, I couldn’t wait to give it a hit. We don’t stand for hours in front a launch monitor smashing shot after shot. We want to review these clubs the way that you, the club golfer, would. We try them on the range, we try them on the course, then we give you our thoughts. 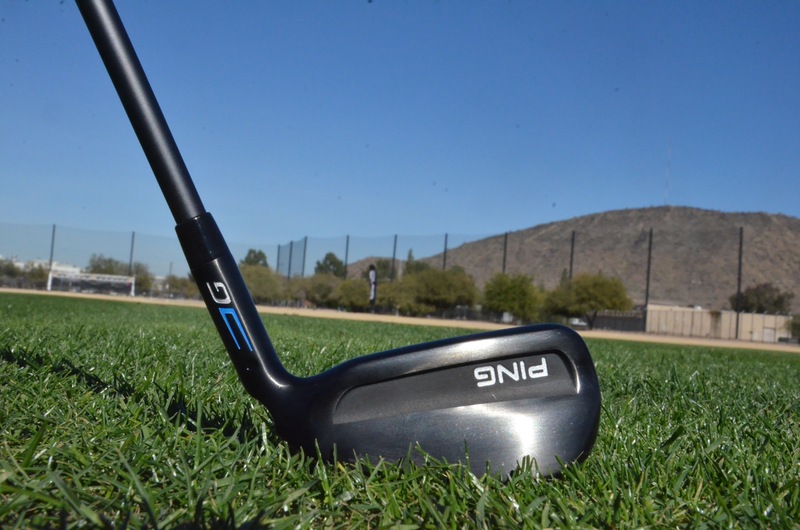 My thoughts on the Ping G Crossover are summed up in one word: ‘Wow’. I have had the 4 Ping G Crossover (21˚) in the bag since the start of the year and I am in love with it. My 4-iron tops out at 205 yards if I catch it sweet, my 3-wood goes 225 yards, but I have never been able to use a hybrid consistently. It’s been a real problem in recent years. I’ve had a 20-yard gap in prime ‘reach a par-5 in two’ distance and nothing to fill it… until now. The look, the sound, the distance, the flight - they all fit the bill. While the Ping Crossover has one-degree less loft than my previous hybrid, the face actually appeared more lofted and so, in my head, easier to get in the air. The ball gives a nice ‘zing’ off the face when you catch it right and, perhaps most importantly of all, it flies high and far. All in all, I can hit the Ping G Crossover 220 yards with a really good strike but settle for an average of around 215. I’m a big fan of this club and it’s definitely going to become a mainstay in my bag. • The Ping G Crossover is designed to give the flight of an iron and the distance of a hybrid. • Iron style face gives adds confidence and control. • It gives the consistency I was unable to find with my hybrid. Have you hit the Ping G Crossover? Leave your thoughts in the 'Comments' section below!